Most construction projects we decide to run heavily depend on the contractor’s expertise and reliability. 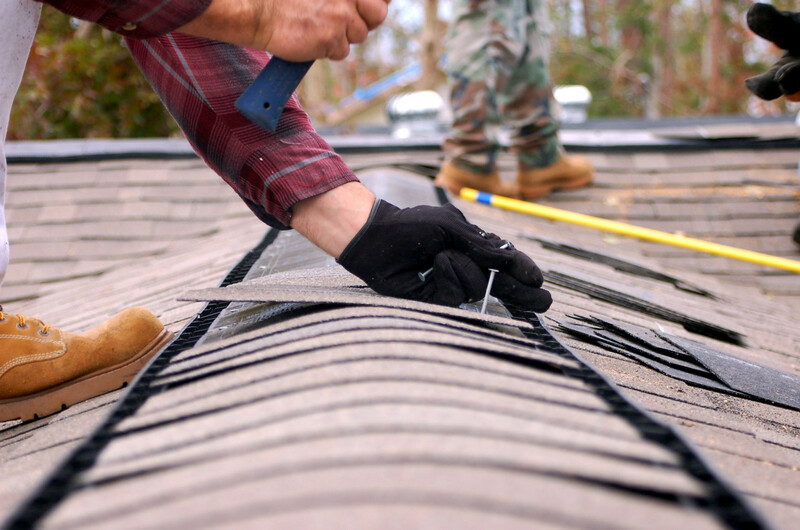 If you seek someone to repair or replace your house roof, you want to hire someone who is responsible, qualified and experienced to prevent any catastrophes that might occur. Before you hire a roofer and sign a contract, make sure that you sit down with them and ask the following questions – it will save you a lot of time, nerves and money. 1. Is the company a licensed contractor and a member in good standing of a trade association? The first thing to do before hiring a contractor is checking whether they are licenced – they need to have an appropriate licence for the state where their business is currently operating (and the state where you’re planning to hire them). Always make sure that their licence is up to date. You can check this information at your local government offices. The more experienced the contractor is, the better – it’s more likely they will do satisfactory, high-quality work. The number of years they survived in the business is a good indicator of the company’s reliability and success. If possible, hire a contractor with more than five years of experience because research shows that 90 percent of roofing businesses shut down within the first five years. 3. Will the company provide referrals or references from previous jobs? A professional contractor wouldn’t mind giving you references and phone numbers and addresses of their ex-customers. Call some these customers and ask them if they are satisfied with the contractor’s work and if there were any unpleasant surprises. Don’t hesitate to reject a contractor who can’t (or won’t) provide his list of customers. 4. Does the roofing contractor or the company carry insurance? You might not know this, but if the worker you hire gets injured on your property and he doesn’t have general liability insurance, you will be responsible for his medical expenses. Also, if the contractor doesn’t have insurance, you will be held responsible for all the damage that happens on your property. Always ask a contractor to provide certificates that prove their insurance coverage. 5. Does the roofing contractor do onsite inspections and provide written estimates? Only an onsite inspection can provide the contractor with all the necessary information for estimating the condition of the roof. If a contractor asks you about the roof over the phone (shape, size, condition) and avoids an onsite inspection, you might want to hire another roofer. Also, ask for a detailed and written estimate with all specific costs before you sign a contract. 6. What kind of warranty or guarantee comes with the service? Is it provided by you, the manufacturer, or both? If your roofer tells you that the manufacturer’s warranty is provided, ask whether it’s a material-only or material plus workmanship warranty. The materials are usually under a manufacturer’s warranty, but ask the contractor to give you at least a two-year warranty on his workmanship. Always keep the copy of the warranty your contractor proposed to you. 7. Does my roof need to be repaired or entirely replaced? Ask your roofer what he thinks – will your roof “survive” with several repairs or does it need to be removed and replaced with a new one? In some cases, replacing damaged shingles can extend your roof’s lifetime up to 10 or even 15 years. If the damage to the roof is more severe, it’s better to do a partial reroofing or a complete roof replacement. 8. What is the exact type of roofing system the contractor is proposing and how will it be installed? 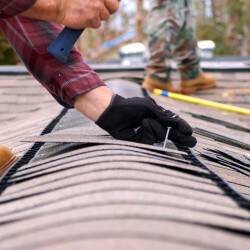 If you opted for a complete reroofing, you’ll have to make another important decision – whether to install a new roof over the existing one or tear the old one off. Have in mind that, according to law, you mustn’t put a new roof over two or more applications of roof covering. Therefore, if you have two layers of shingles, you’ll have to remove the old roof before placing a new one. 9. What happens if you take longer to complete this job than we originally agreed to? When talking with your potential roofer, it’s best to ask questions about unexpected and unpleasant situations that might easily occur. Failing to meet the objectives stated in the contract is certainly something you’ll want to discuss in advance to see how your contractor would behave in such a situation. Whatever you agree on should be specified in the contract. The questions that are provided in the list above cover the most important parts of any roofing project. However, if you don’t want to leave things to chance – ask for additional information about the contractor’s team and their daily routine. What time do they plan to arrive and depart each day during the repair or replacement job? How many people will it require to complete the job? Do they clean up the site, remove all debris from the yard, and is that included in the price? With the help of all these questions, you will be able to pick the perfect roofing contractor and minimise all the risks. Also, they will help you to prepare yourself and plan everything down to the last detail before the roofing works begin.